Remember mood rings? The amazing dainty jewelry that changed color depending on your mood? They were a staple of the ’90s, and told everyone when you were happy, sad, mad, or indifferent. 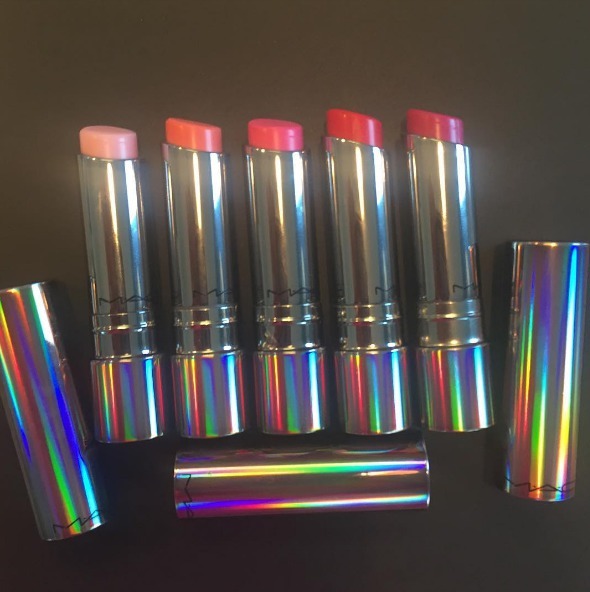 Well, Mac just made our dreams come true and took mood rings to a whole new level—they created mood lip balms. “These deepen in colour depending on your personal ph balance,” Mac makeup artist Dominic Skinner explained on Instagram, adding that the final look “will be different on everyone.” Allure.com tested out each Tendertalk color on two editors with two different skin tones and while some of the shades look similar, others are varied in a really beautiful way. Tendertalk is available in Pretty Me Up (sheer coral), Play With Me (sheer red), Side Dish (sheer plum), Teddy Pink (sheer bright pink), and Candy Wrapped (sheer pink). For $20 a pop, they’ll be available online June 2nd and in stores on June 9th!